June 10, 2013 - The Department of Transportation’s Federal Aviation Administration (FAA) asked the world’s fuel producers to submit proposals for fuel options that would help the general aviation industry make a transition to an unleaded fuel. The FAA is committed to the development a new unleaded fuel by 2018 that would minimize the impact of replacing 100 octane low-lead fuel for most of the general aviation fleet. The FAA will assess the viability of candidate fuels in terms of their impact on the existing fleet, their production and distribution infrastructure, their impact on the environment and toxicology, and economic considerations. The FAA is asking fuel producers to submit by July 1, 2014, data packages for candidate replacement unleaded fuel formulations for evaluation by the FAA. By Sept. 1, 2014, the FAA will select up to 10 suppliers to participate in phase one laboratory testing at the FAA’s William J. Hughes Technical Center. The FAA will select as many as two fuels from phase one for phase two engine and aircraft testing. That testing will generate standardized qualification and certification data for candidate fuels, along with property and performance data. Over the next five years, the FAA will ask fuel producers to submit 100 gallons of fuel for phase one testing and 10,000 gallons of fuel for phase two testing. “The FAA knows the general aviation community and the Environmental Protection Agency are focused on this issue, and we look forward to collaborating with fuel producers to make an unleaded avgas available for the general aviation fleet,” said FAA Administrator Michael Huerta. The President’s 2014 budget includes $5.6 million in research and development funding for the William J. Hughes Technical Center to conduct the fuels evaluation testing. Candidate fuel testing will be funded by the government and in-kind industry contributions, in a multi-year program. To date FAA has tested over 279 fuel formulations in an attempt to find a “drop-in” solution, which would require no aircraft or engine modifications. The request responds to the July 2012 Unleaded Avgas Transition Aviation Rulemaking Committee report to the FAA, which noted that a "drop-in" unleaded replacement fuel is unavailable and may not be technically feasible. That is why an industry-government initiative called the Piston Aviation Fuels Initiative (PAFI) will facilitate the development and deployment of a new unleaded avgas with the least impact on the existing piston-engine aircraft fleet. 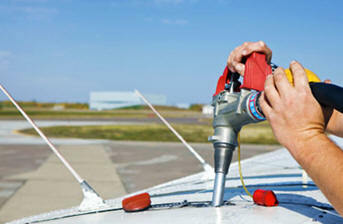 PAFI is key to the selection and implementation of an unleaded fuel across the existing general aviation fleet. The FAA and industry-group leaders also recently formed the PAFI Steering Group (PSG), to facilitate, coordinate, expedite, promote and oversee the PAFI. There are approximately 167,000 aircraft in the United States and a total of 230,000 worldwide that rely on 100 low lead avgas for safe operation. It is the only remaining transportation fuel in the United States that contains the addition of tetraethyl lead (TEL), a toxic substance, to create the very high octane levels needed for high-performance aircraft engines. Operations with inadequate octane can result in engine failures.